ALASTOR SANGUINARY EMBRYO was formed in 1995 in San Jose (Costa Rica) and has become one of the oldest bands in Central and South America. The bands debut, "The Howling Creatures of the Night" (demo tape) was released in 1997.Music presented on this demo was filled with anger and burning hatred characteristic of the most Latin-American bands. However the demo also included some untypical tracks � Odio (intro) and Quimera (outro) � performed by Roger Castillo on acoustic guitar.The demo was followed by EP "Eternal Tears Through Asmodeo�s Blackened Flames". The promotion of this EP included an El Salvador tour and the series of festivals in Nicaragua and Panama in 1999. 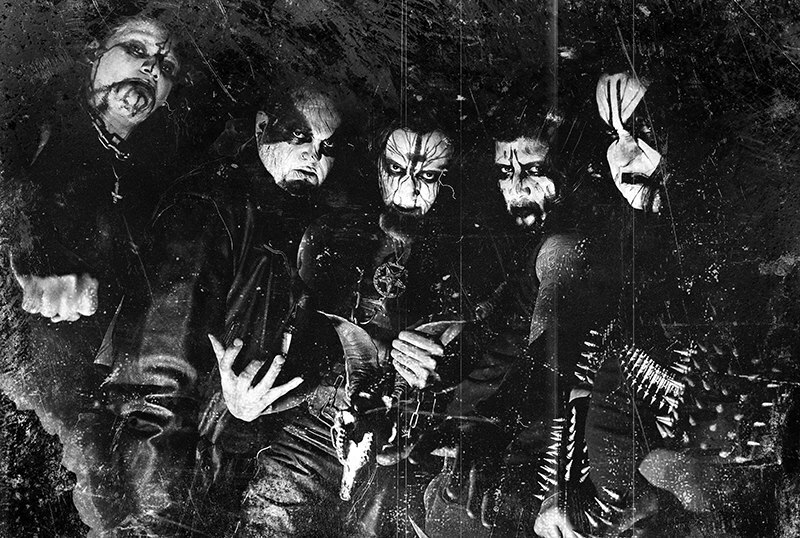 The line-up of the band at the time consisted of Abrahkkan (vocals, frontman), Perséfone (vocals), Luis "Demonhead" Rodríguez (guitars), Glaciabolous (bass), Leonard (keys) and Grackons Damaethyam (drums). The first full-length album titled "D.E.M.O.N." was recorded in 2004. Along with Abrahkkan, Rodríguez and Grackons Damaethyam the album featured new musicians: Adolfo B. (bass) and Aeon (keys). The album was released by the band. During its long history ALASTOR SANGUINARY EMBRYO has played many shows in Central America and shared stage with such bands like DISMEMBER, MARDUK, DARK FUNERAL, INQUISITION, GORGOROTH, CRADLE OF FILTH etc. The new full-length album "For Satan and the Ruin of the Divine" was recorded in 2015 and released through joint efforts of Satanath Records, More Hate Productions and Darzamadicus Records. This album proves that the band can proudly bear a banner of unholy misanthropic black metal even after 20 years!